Jumping Goat Amber Ale | Inkdependence! Another beer review! I was going to finish up a post I started a long while back about Libertarianism, but I decided to be more of a slacker and review another of my Trader Joe's single beers. Jumping goat is an ale that smells a lot like Fat Tire. It's got that same sickly-sweet smell with the same sort of hoppy/flower taste. This one has a taste of honey, too. Very little head that dissipated soon after I took this picture. Unsurprisingly, there wasn't any banding at all. I generally like amber ales, but this is a style I can't really get into. There's this almost cloying flavor going on and that's not what I want in a beverage. Perhaps it's the goat part that I don't like. 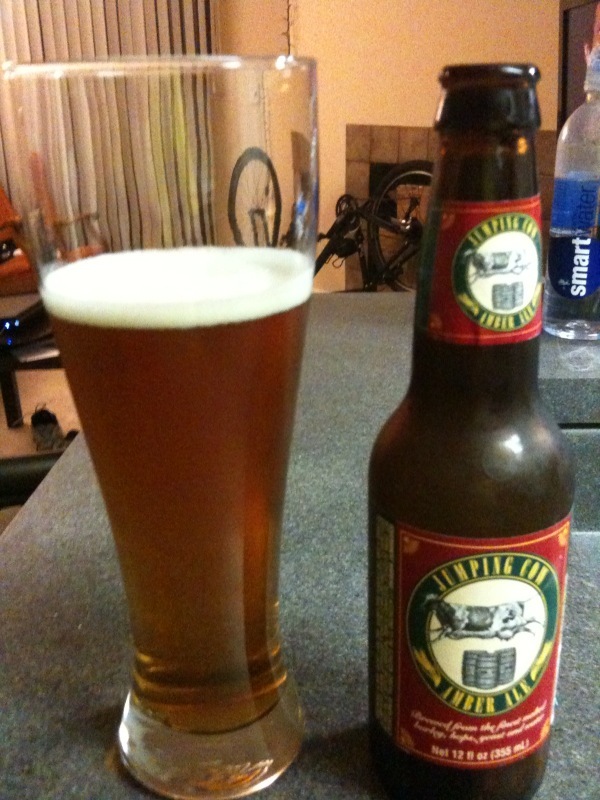 I had this beer called Celebrator Doppelbock a few years ago with my friend Joel, and it was straight-up terrible. BeerAdvocates gave it an A+, but I can't imagine why. It's been a year or two since then, but I think I remember both of us hating it pretty hard. It did come with the sweet goat-on-a-string in the picture at the right. At least it had that going for it. that was straight-up terrible beer!